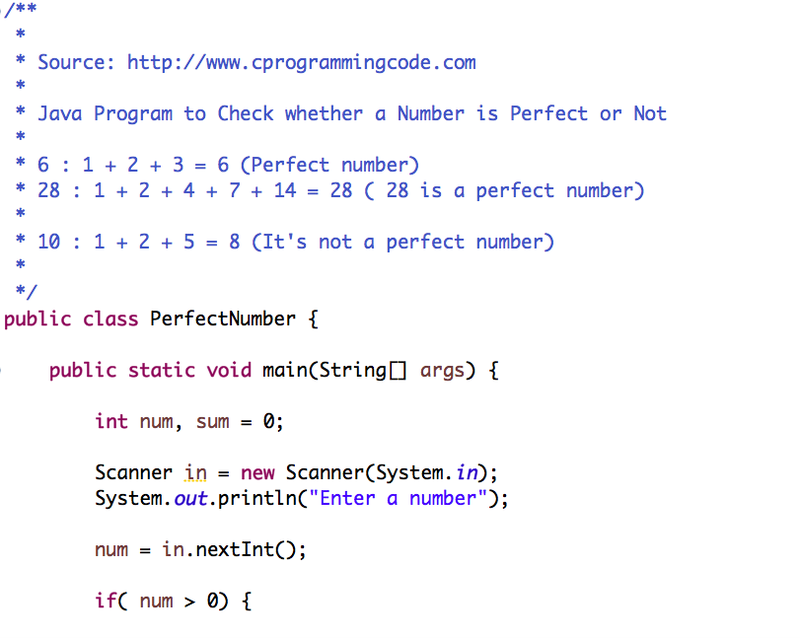 Write a java program to check whether a number is perfect or not. 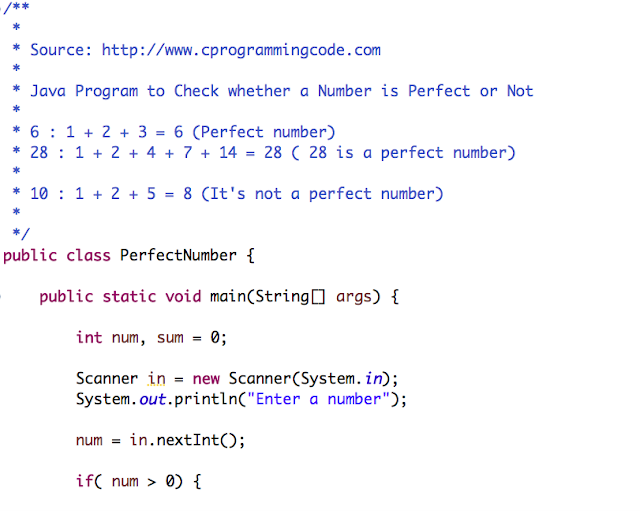 Given an input number, we have to write a java code which check whether an input number is perfect number or not. Before solving this problem, let's first understand what is a perfect number. A perfect number is a positive integer that is equal to the sum of it's positive divisors excluding the number itself. 6 is a perfect number. It's positive divisor is 1, 2 and 3 and sum of it's positive divisor is 6 (1 + 2 + 3). Similarly, 28 is a perfect number. Sum of the positive divisor is 28 (1 + 2 + 4 + 7 + 14). 10 is not a perfect number. Sum of the positive divisor of 10 is 8 ( 1 + 2 + 5). We have discussed what is a perfect number? Let's write a java code which takes an input number and check whether an input number is a perfect number or not.